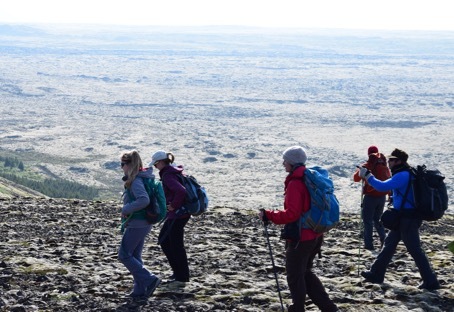 Keck students doing recon on the volcanic ridge system they will be studying for their senior research projects. Dr. Ben Edwards on right giving one of his many field lectures on the petrology and physical geology of the area. Lava bears were an unexpected encounter when climbing the ridge. 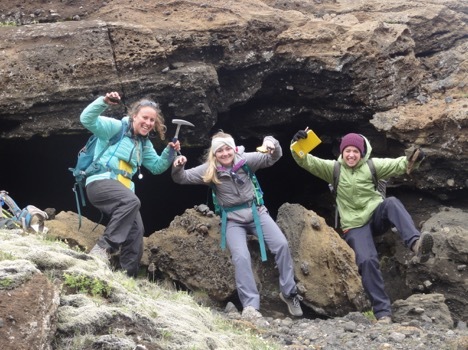 These bears just happened to come out of the cave when Dr. Meagen Pollock was analyzing an outcrop of her favorite rock, none other than basalt. Basalt here, basalt there, basalt everywhere. 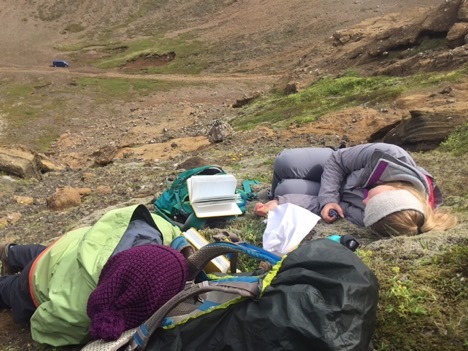 Long days in the field with endless sunlight wore out these tired lava bears. It seems they have found their favorite napping spot on a nice piece of moss. 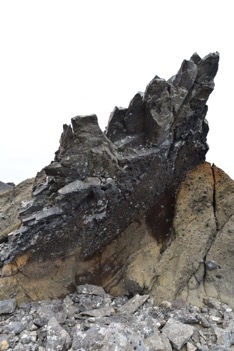 A volcanic intrusion known as a dike sticks out of the surrounding lapilli tuff and tuff breccia units on top of the volcanic ridge system. Features like these are important to the project. The Keck students will be working to map in new features which are critical step in the process of updating the map of the ridge. 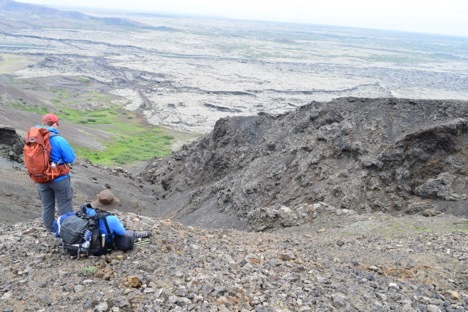 Ben Edwards and his field assistant Will Kochtitzky surveying a gully on the south side of the ridge as part of a mapping project to be done during the Keck experience in Iceland. I just KNEW you’d run into lava bears eventually!